When Bandai Namco revealed Jump Force, a crossover fighting game pitting Dragon Ball villain Frieza against Naruto himself, manga fans went berserk. It wasn’t that the headlining manga stars looked like they were plucked from the pages of Shonen Jump. They don’t. In Jump Force, they appear as living action figures pummeling the crap out of each other in 3D meatspace. 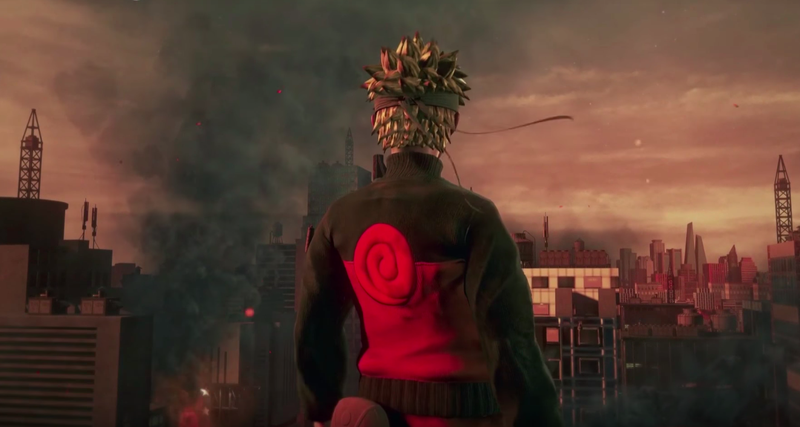 In Jump Force, two players face off in tag-teams of three shonen characters. They’ve got light attacks, heavy attacks, guards, side-step dodges and special attacks, like Naruto’s Rasengan or Goku’s Spirit Bomb. It’s all 3D, which makes kicking your opponent into a crumbling building feel like it’s happening in an actual physical space. Playing against an AI at E3, movement in Jump Force felt crisp and looked beautiful. The special attacks were epic. Launching Frieza’s was as easy as hitting two buttons at the right moment and watching the sky light up. It’s also decidedly a beginner’s fighting game that’s aimed at fans of One Piece, Naruto, Dragon Ball and whichever Shonen Jump manga heroes will end up in the game. It was surprisingly easy to grasp the basics. Considering that another easy-to-grok Dragon Ball fighting game just game out—Dragon Ball FighterZ—I wondered how Jump Force might arrive in a similar intersection of otaku and fighting game fans. “Dragon Ball FighterZ is a bonafide fighting game that’s about technique and mind-reading. Our approach is a little different,” said Nakajima. “We wanted to cater to the broader fanbase.” Nakajima compares the game to Dragon Ball Xenoverse 2 or the Dragon Ball Z: Buddokai series, the latter of which was a childhood favorite of mine, back when Tekken’s 100-plus combos-per-fighter was impossible for me to even fathom. When I pressed Nakajima on Jump Force’s advanced techniques, he said players should be able to discover unpredictable combos. In the Jump Force E3 demo only Naruto, Goku, Frieza, Luffy from One Piece were playable. When I asked whether there’d be other fighters in the full game, Nakajima demurred. Death Note’s Light Yagami, who can kill whomever he wants by writing down their name, features in a trailer, but Nakajima said he won’t be playable as a fighter (“Light would be very, very overpowered,” he laughed). He did confirm that there will be women in the game. Jump Force’s release will do double duty as a celebration of Shonen Jump’s 50th anniversary, Nakajima told me. It’ll be out in 2019 for PC, Xbox One and PS4. Correction, June 14, 4:45 PM ET: Fixed the spelling of the name of the Death Note character.